Norton Secure VPN is a security app from a consumer brand trusted by millions of consumers. Protection for your device against cybercriminals, browse more anonymously, change your location, and helps block advertisers from tracking your online activities! 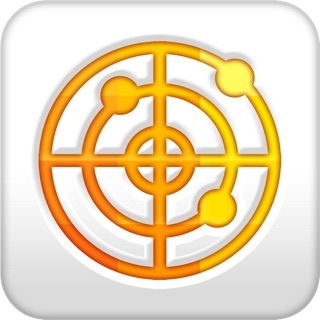 Turn any public Wi-Fi into your personal hotspot! When you connect to public Wi-Fi, cybercriminals may spy on your online activity and steal your sensitive information, like passwords and credit cards details. Norton Secure VPN uses the same encryption technologies that leading banks use to help protect your data. Mask your online activities and location with our no-log VPN. We don’t track or store your online activity, so even we don't know what you’re up to! Just change your virtual location so your IP address can’t be tracked! We help block ad trackers by intercepting cookies and removing your identifying information. Websites will no longer be able to track you to deliver unsolicited ads at a later time. Turn any public Wi-Fi into your own secure virtual private network to help keep your personal information safe, and your online activities private. The KRACK attack puts Wi-Fi connections at risk. Use Norton Secure VPN to help encrypt the information you send and receive, for protection against this new threat. With Norton Secure VPN, you can pay bills at the airport or check emails at a café without worrying about cybercriminals stealing your passwords or monitoring your online activity. Going online in public just got better. Get Norton Secure VPN and go online in public, more securely and privately. • Norton Secure VPN Subscription: Provides more secure connectivity for your mobile device. • 30-day trial requires activation of annual subscription. • Payment will be charged to iTunes Account at confirmation of purchase. • Subscription will renew automatically at the end of the subscription term unless canceled. Cancel in your iTunes account before end of trial to avoid payment. • Account will be charged for renewal within 24-hours prior to the end of the current period. • You can manage your subscriptions and automatic renewal may be turned off by going to your Account Settings after purchase. • Any unused portion of a free trial period, if offered, will be forfeited when you purchase a subscription. • Annual subscription is for one device only. •Start your 30-day trial* to help protect your Wi-Fi connections now! *30-day trial requires activation of $29.99 annual subscription. Cancel in your iTunes account before end of trial to avoid payment. More details below. In this release, we've fixed a number reported bugs. Any suggestions? Let us know what you think by leaving a review! I was asked if I wanted to update my dissatisfaction with is product. I thought why not, sense the programmers had there chance to correct all problems. Maybe I should reevaluate this for them. So I did! I tried to turn it on, and it did turn on, it hung up after about an hour but it did get nearly a full hour of operation before it took a dump. This product needs someone to test it before they release it...still garbage! This app needs a lot of work. The only thing really consistent with it is that it consistently locks up. It not only the app, the same problem exists in the Norton WIFI program for you PC. They both stink! Somebody needs to have a chance to excel at another vocation because programming doesn't seem to be their forte and I'm sure they are getting paid an exorbitant amount of money to produce this garbage. The one nice thing is that you can turn it off...thank god for that one! This app seems to work better but still has issues when launching certain apps. I know HBO Now has a problem downloading data when the VPN is on. Also Hospital apps don't work and pandora has issues. Why these programmers can't fix it is unknown. You would think they would of had enough time even coming to work at 930 and leaving at 1pm and going on vacation every 3rd day. Sorry that you're still having this issue! 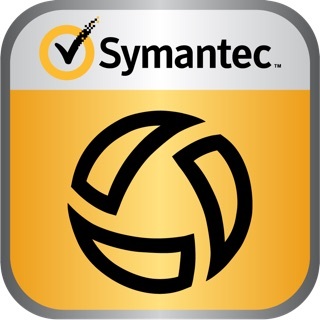 Please drop us an email to: nwp_support@symantec.com with the details, we would like to look this for you. This app is a giant pain in the neck. It does not maintain a VPN connection on my iPhone 8, so I have to try to reconnect EACH time I want to use my phone, whether I’m in a WiFi zone or just using cellular data. Reconnecting can take 2, 5, 7, or endless attempts, sometimes not connecting at all. Without connecting, I can’t use my map app, my weather doesn’t refresh, and so on. This makes my phone usability total garbage. For instance, yesterday I got caught in a construction zone and needed a quick detour. I tried to open my map app and it couldn’t refresh with my location until the VPN connected. I tried to connect over and over, but it didn’t work and I couldn’t get a route. This has been happening the entire first month of my subscription, although the app worked much better during the trial period. I do not recommend this app. I really love the idea of a VPN, particularly when I’m using a public WiFi, but being required to wait a few minutes or more each time I lift my phone to use it in my own home or when I’m out on the road is a huge headache. I wish I would have cancelled before I got trapped in a full year’s subscription. We're extremely sorry about the experience. Our team has released an update. Could you please try updating you app to the latest version and check if that helps. If you still see this issue, reach out to us at nwp_support@symantec.com. We can check this for you. Norton Secure VPN is a must have for any avid smart phone user. My iPhone is now more secure than ever, and has the latest encryption on the market thanks to Norton Services (Norton Secure VPN, Norton Security, Norton VIP Access, Norton Ad Blocker, and Norton Privacy Manager). I can now do more on my iPhone than ever before, with less worry. Before subscribing to Norton Services my iPhone had weak security, and I was opposed to doing financial work, sending and receiving secure and classified emails, and storing passwords on my iPhone. Nevertheless, I never worry anymore thanks to Norton Services, and I now do all financial transactions, send and receive secure and classified emails, and store passwords on my iPhone without hesitation. I even invest on my iPhone, thanks to Norton Services! There's no other computer security company that I would trust, like I do Norton Symantec Corporation. Thank you, Norton Symantec Corporation for everything!